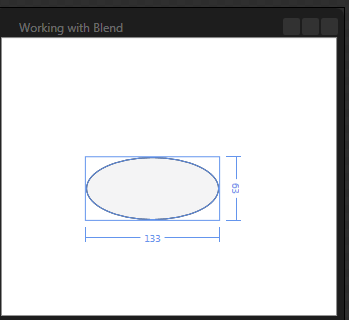 There are three shape tools in the Tools Panel in Blend that will let you draw shapes on your user interface. They share an icon on the Tools Panel, so you can see them all by clicking and holding the left button down. With a shape tool enabled, you can draw directly on the artboard with your mouse.